The second most vital supply you will need is Wax Liquidizer. This liquid transforms the THC concentrate into a vape juice that you can load directly into your vape pen or atomizer. 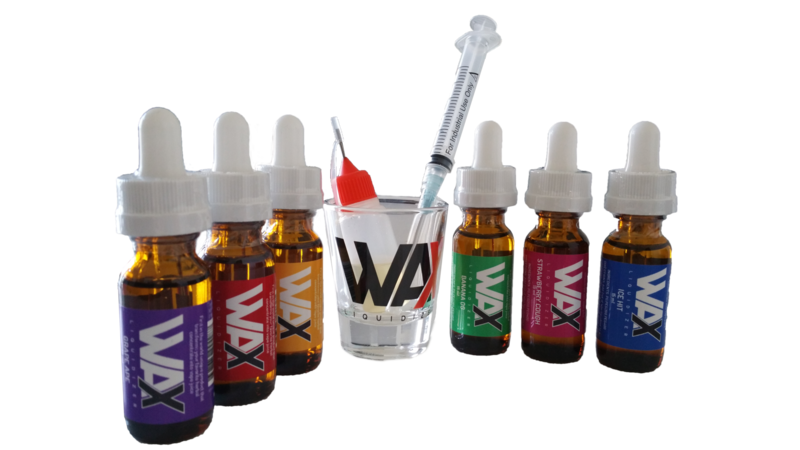 Wax Liquidizer comes in a variety of sizes and comes in six great tasting flavors. The third resource you will need is a source of heat such as a microwave, a stove top or a hot plate. All you have to do is combine the THC concentrate of your choice to the Wax Liquidizer add some heat and you will have some nice tasty THC E-Juice ready to vape. Take a look at this video and see how fast and easy it is to turn wax to e juice with Wax Liquidizer. The last materials you need when turning THC into e juice is a glass and syringe. These items as seen in the video are available on our website or your local head shop or dispensary. If they don’t stock Wax Liquidizer and want to try it then send us their name and address and we will send you a free bottle of Wax Liquidizer. Now that you have created your THC e juice for your vaporizer let’s look at some of the benefits of vaping THC as compared to smoking weed. Are you ready to start enjoying THC in a manner that fits your lifestyle? Wax liquidizer makes it easy for you. Grab a bottle of Wax Liquidizer and some Marijuana concentrate and start vaping THC today!